Buzz, Buzz…They say beauty is in the eye of the Bee-holder. Whether you’re a total nature nerd, a countryside co-operator, or just simply an admirer of the black & yellow, fluffy pompoms. Beekeeping books are a total Buzz, & we’re totally interested in purchasing your used books! Honey makes the money! 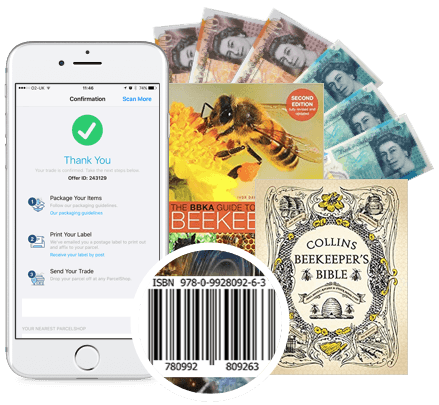 Selling your apiarist books is Bee-yond easy, simply enter the ISBN or barcode of your book into our selling basket, receive an instant valuation, send us your items, and then get paid! 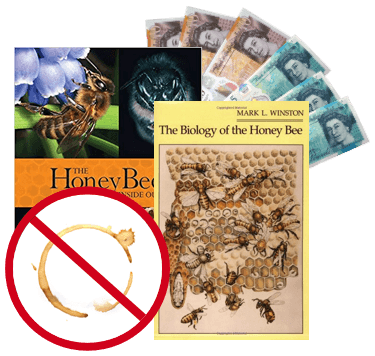 We’re so keen to receive your used bee-keeping books that we even provide you with a free postage label. Plus, we pay you the very next day after we’ve checked your items! 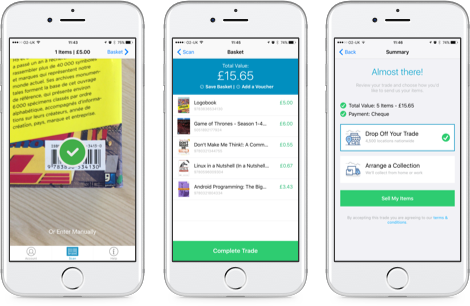 It transforms your phone’s camera into a clever scanning device, meaning you can get valuations for your used bee-keeping books whenever and wherever. So, even if you’ve got piles and piles of used beekeeping books to sell, it won’t take you long to swap them for cash! What are the best kind of books to sell? All bee-keeping books are fascinating. However, the following books are the bee’s knee’s! Does the condition of my used Bee-keeping books matter? We accept books with general wear & tear. But if your books are in bad condition, such as damage to the binding, and torn pages they will be not be accepted. 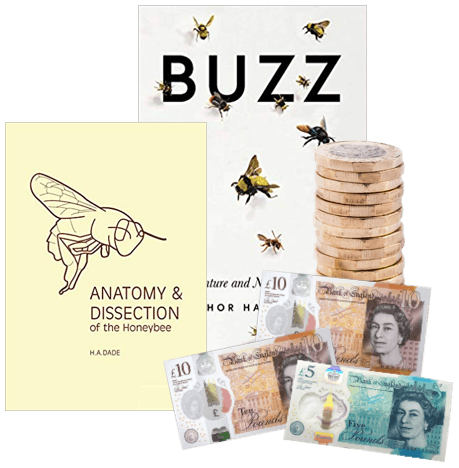 Send your Bee-keeping Books, DVDs, games and CDs to us and we’ll send you some money. Less clutter at home and more money – what’s not to love about that? So don’t wait – sell online today with We Buy Books. If you’d like some extra help, then please don’t hesitate to get in touch. Just give us a call on 01706 248281.